As Christmas grows near its time to make preparations for our family’s traditional Christmas Eve Supper. 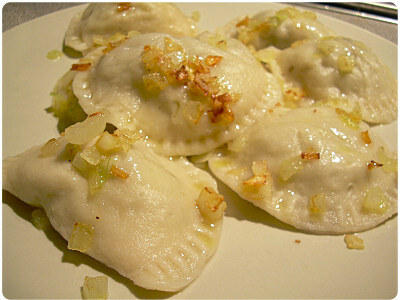 My Grandparents came from Eastern Europe and brought their ethnic recipes with them. My parents each brought some of their families recipes into the mix. Now that they have both passed on it is up to myself and my sibling to keep the traditions alive to pass onto our children. As far back as I can remember my mother enlisted all available hands to help make the pieorgis for Christmas Eve. She would mix and roll the dough and we would fill them with prune, cabbage and cheese filling being very careful to pinch the edges tightly so no filling would spill out while boiling. I am grateful for those many years of training so that now I and my family can continue to make these once a year treats. Another treat that has been passed down is the baking of Kolachi bread. 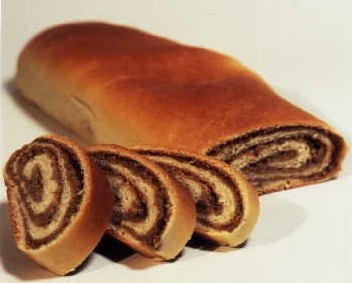 This sweet yeast bread filled jelly roll style with nut, prune or poppy seed. My father was the bread maker a skill he learned when he was a youth recovering from a serious injury that happened when he fell out of the hayloft at his family’s barn. It was during the depression and it was a wonder he survived the hospital stay. He was not quite strong enough to do farm work so my grandmother taught him how to bake. He used to say he would bake not one pie at a time but a dozen as there were 10 children in his family plus farm hands. Over the years he perfected the Kolachi bread and passed the recipe down so that now my brother has taken over the bread making role. It is a much anticipated treat every year. So this Christmas Eve my brothers and I and our children will gather together to celebrate and remember our heritage. Our supper will consist of fish, pierogi, buckwheat, saffron rice, peas ,sauerkraut and mushrooms ,babolki( small bits of the sweet bread with raisins in the dough then tossed with fried cabbage and onion) and kolachi bread . We will pass slivered garlic dipped in honey, toast to the season , our parents and to tradition and give thanks that we are still able to celebrate together.